It was great to celebrate all things bike last week! 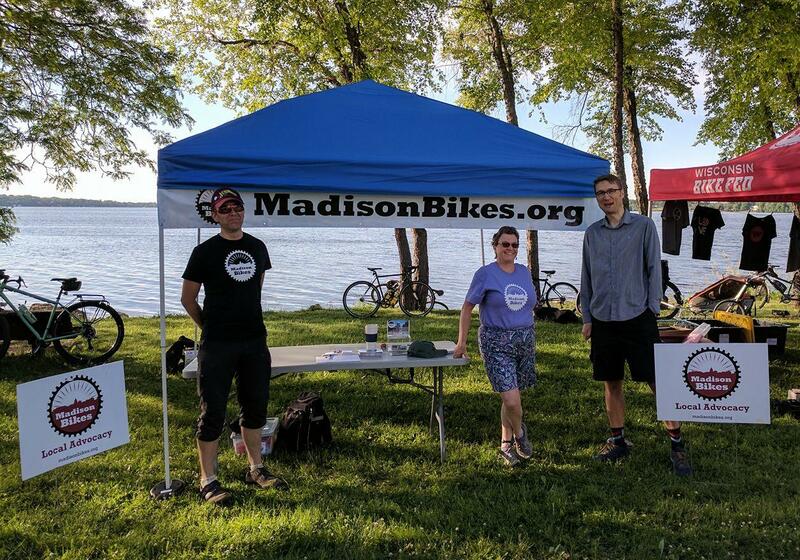 Big thanks to all the sponsors of last week’s events and to the Bike Fed for organizing Bike Week in Madison and all of Wisconsin. 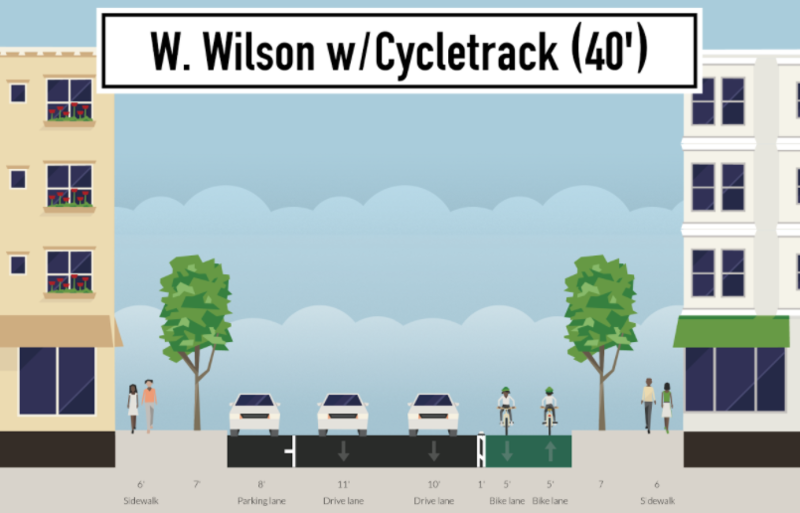 And meanwhile, on Tuesday, the Common Council approved plans to reconstruct Wilson Street as-is, with no accommodations for safe and comfortable bike travel. But thanks to an amendment proposed by Alder Demarb at the Board of Public Works, and to all the comments received by residents about the need for bike facilities, the resolution also included language to “develop a plan for a bike friendly corridor on Wilson St, by the time the Judge Doyle Square Project is complete.” Construction is currently slated to be completed in 2020, at which time the eastern half of this street project (between MLK and King) will be reconstructed. The Pedestrian, Bicycle, Motor Vehicle Commission will take up the charge to develop this plan in the coming months and we’ll need your continued support to land on a recommended cross section that provides for safe and comfortable bike travel in both directions on Wilson Street. One possible design that has received positive feedback is a two-way protected bike lane on the south side of the street. Stay tuned and stay involved. On Wednesday, Sustain Dane’s WOW Bike Tour: Sustainability Stories heads out from Lowell Elementary school at 5:15. And on Saturday, there are two events leaving Fitchburg: June’s Bike the Art ride heading to Paoli and the Family Fun Bike Ride riding from Leopold Elementary School to the Fitchburg Library.